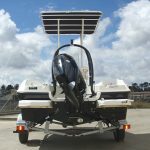 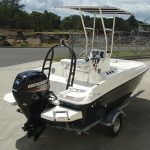 2017 Bayliner Element F16 ‘Centre Console’ Fishing boat powered by a 75hp 2.1L 4-cyl EFI Mercury 4-Stroke outboard engine with only 6 hours of FRESHWATER use. 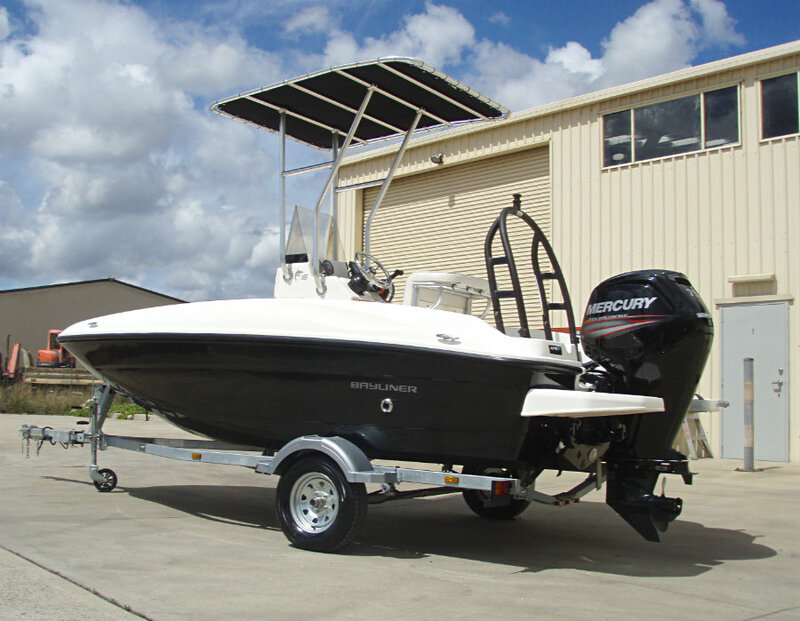 The new Element F16 takes the high value equation to a new level. 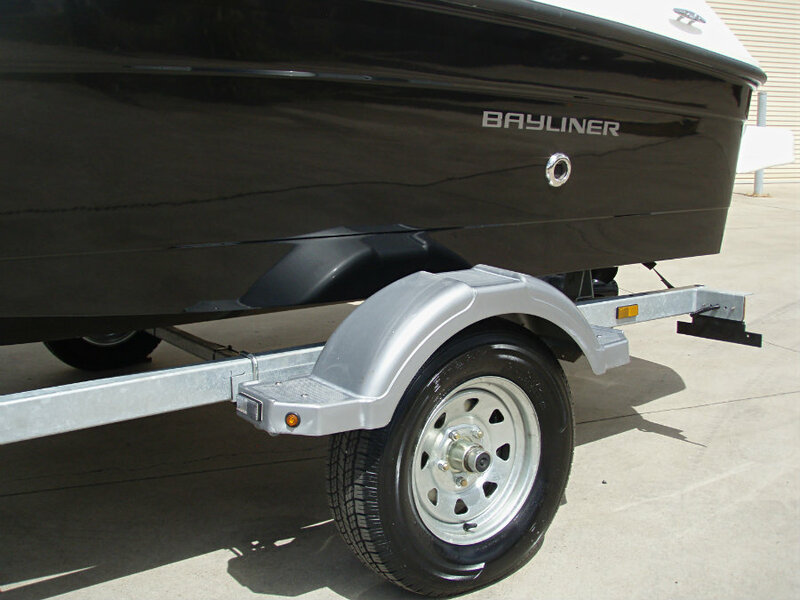 By combining the exceptional stability of Bayliner’s innovative M-Hull™ design with a feature-packed deck plan and a head-turning base price, their out to turn more families on to affordable fishing. 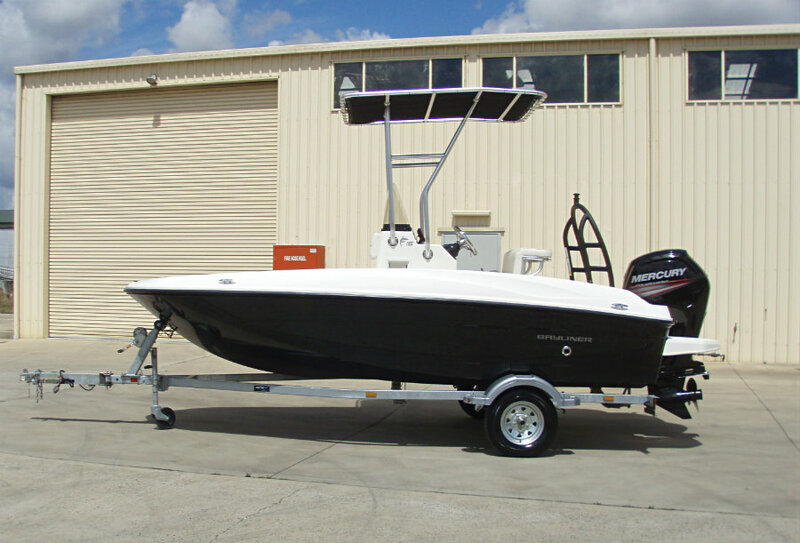 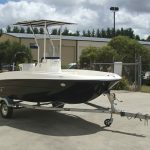 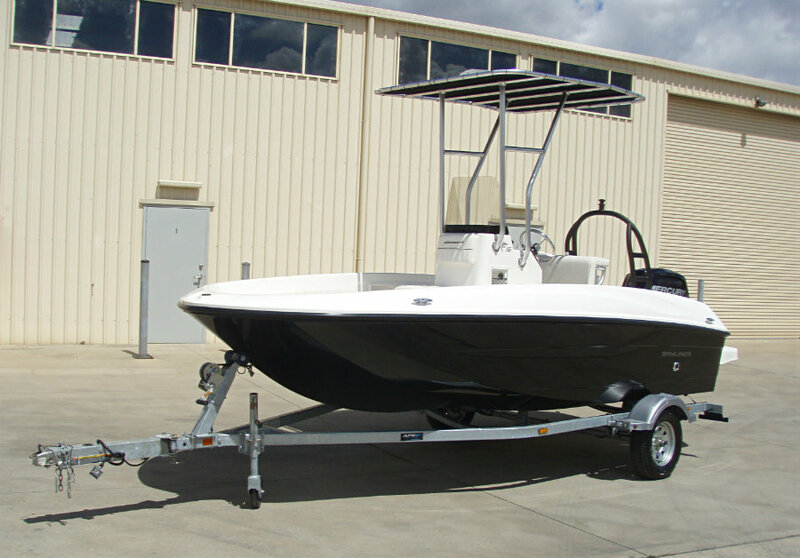 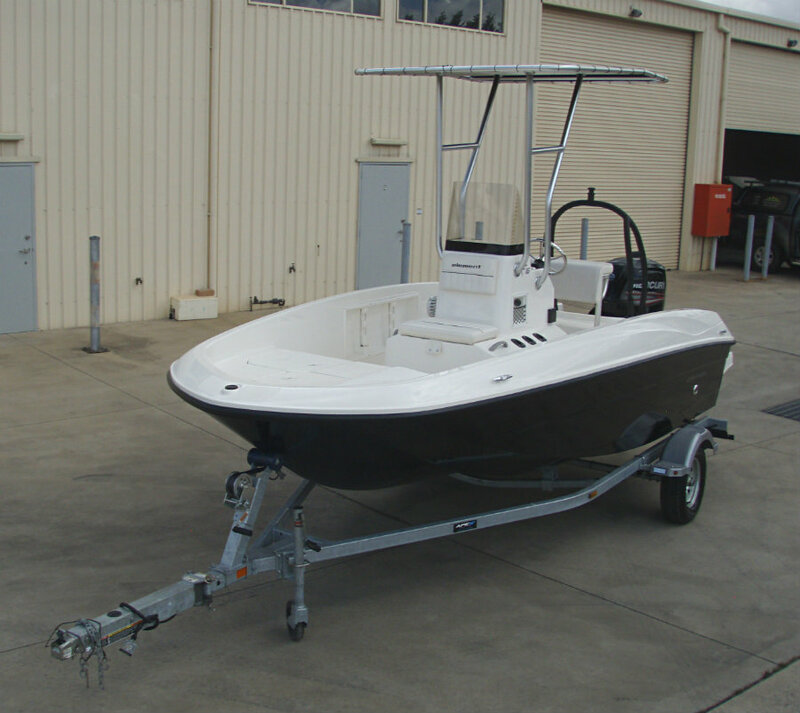 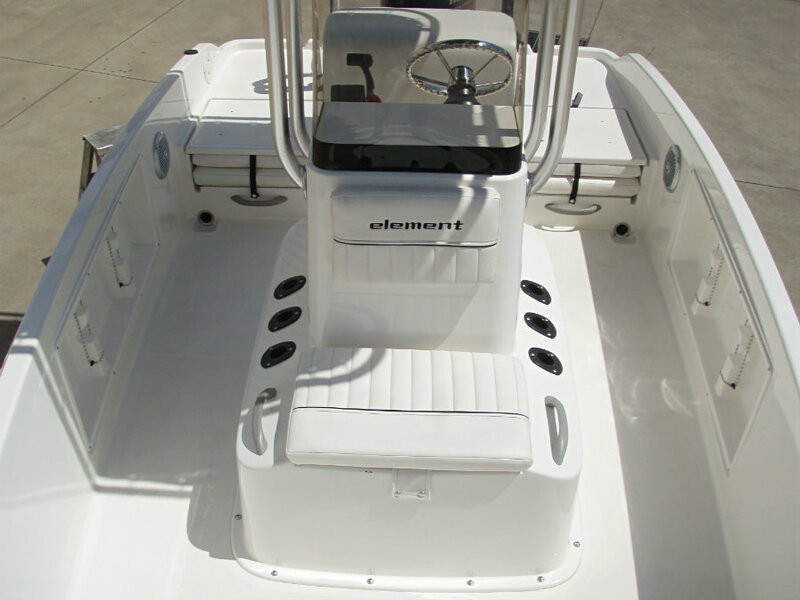 This sharp, 16-foot center console blends affordability, versatility and fishability like few boats you’ll find. 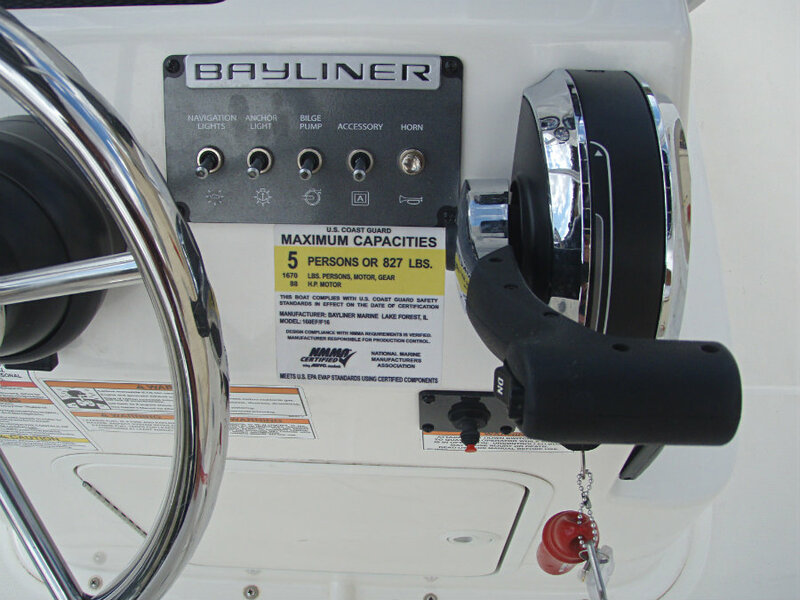 While this certainly isn’t the fanciest boat in the world, nor the fastest, the Bayliner F16 is an excellent value for people who want to buy a brand-spanking-new fishing boat. 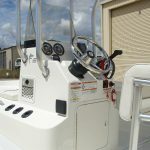 And our guess is it’ll turn a lot of used boat buyers into new boat owners. 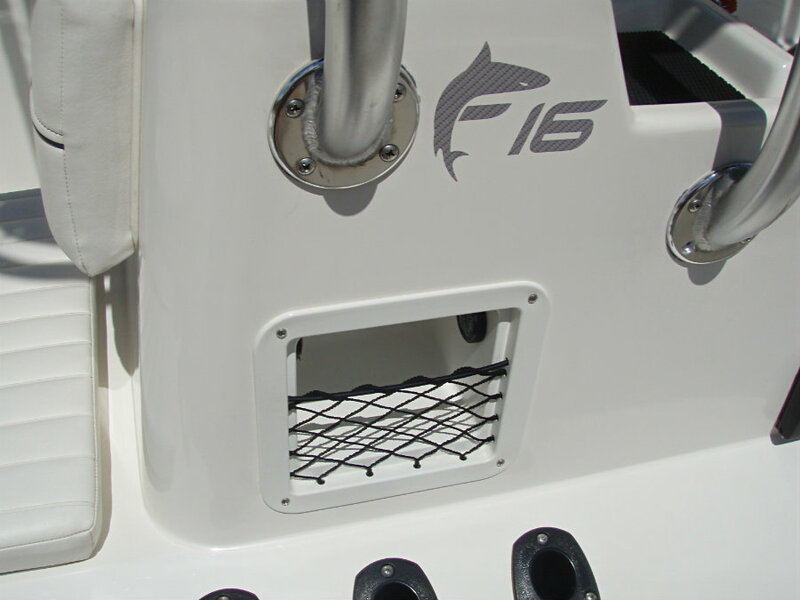 We’re not going to pretend the F16 has goodies like a booming stereo system or a blender for your margaritas. 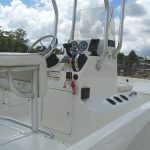 But it does have standard forward and aft casting decks, vertical racks for six rods in the console, an aft LIVEWELL, a leaning post, a swim ladder, a stainless-steel steering wheel, trolling motor pre-wiring, and a built-in 68 ltr fuel tank. 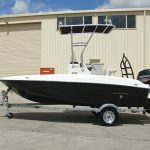 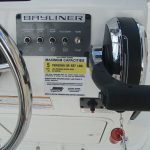 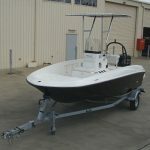 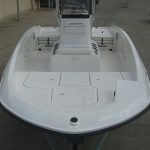 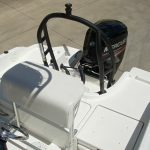 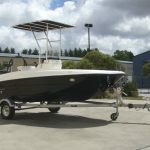 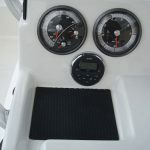 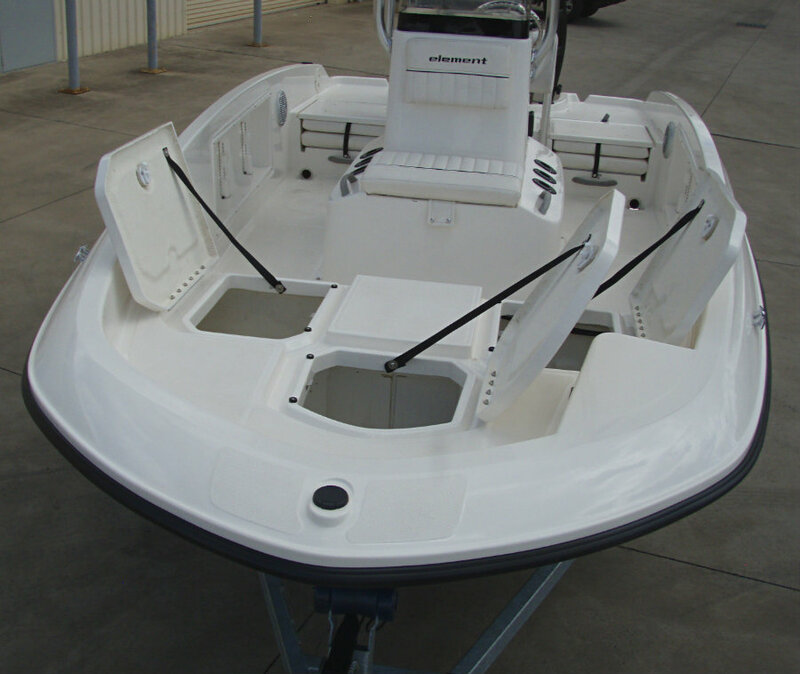 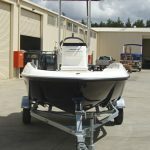 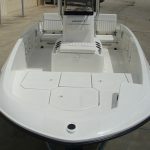 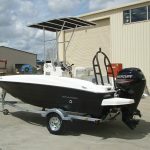 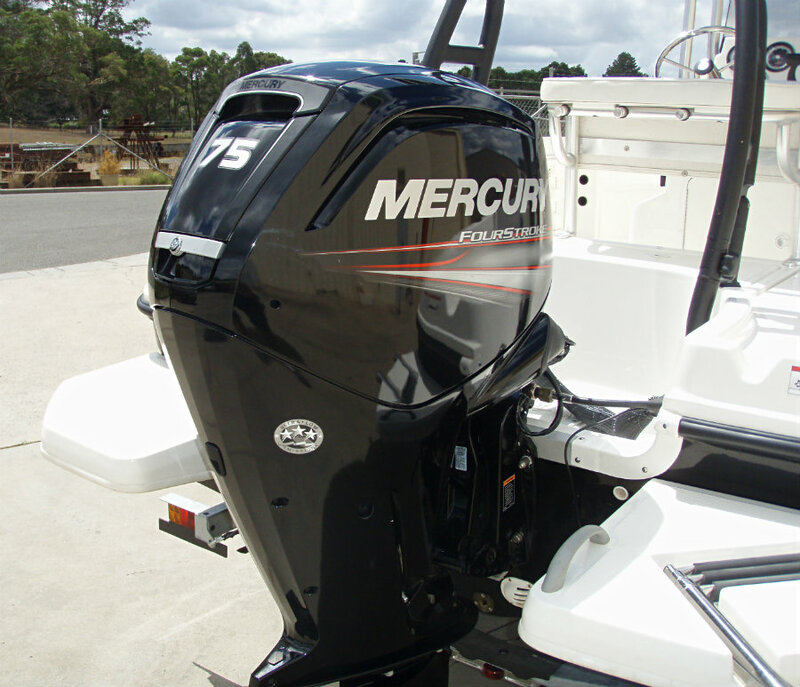 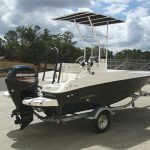 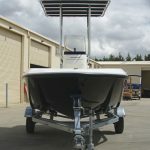 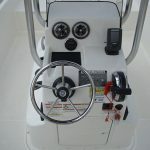 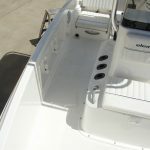 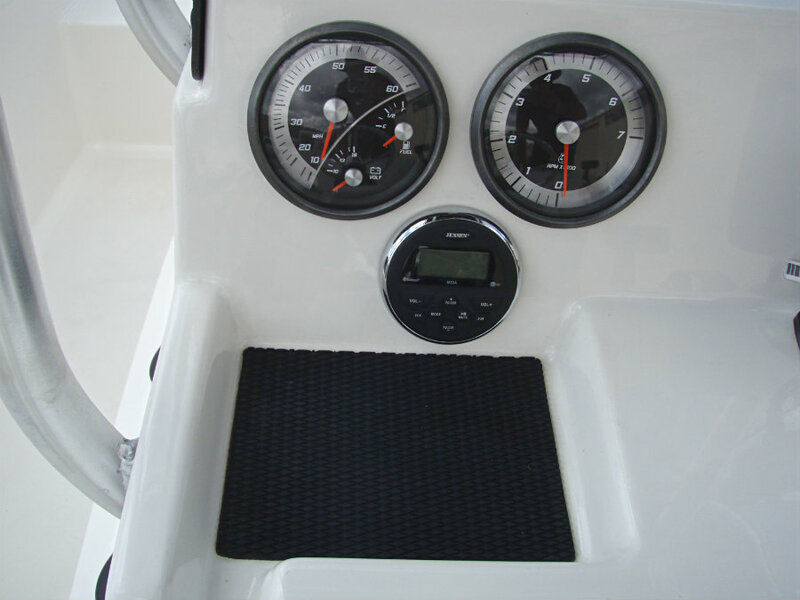 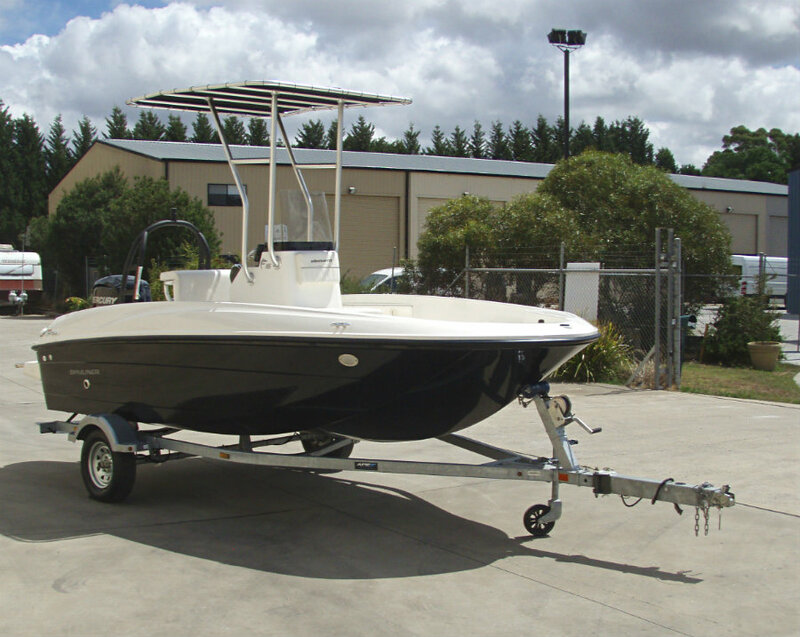 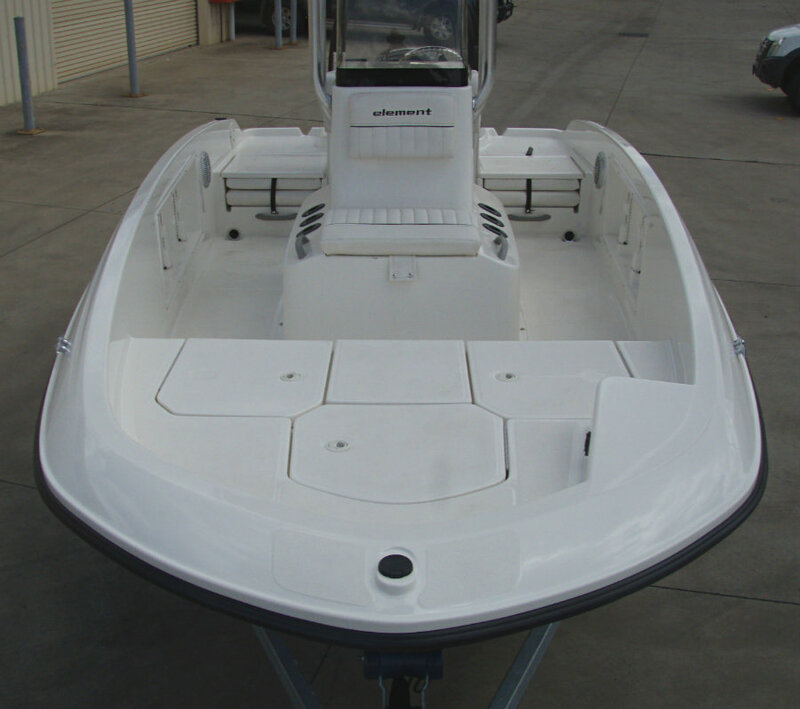 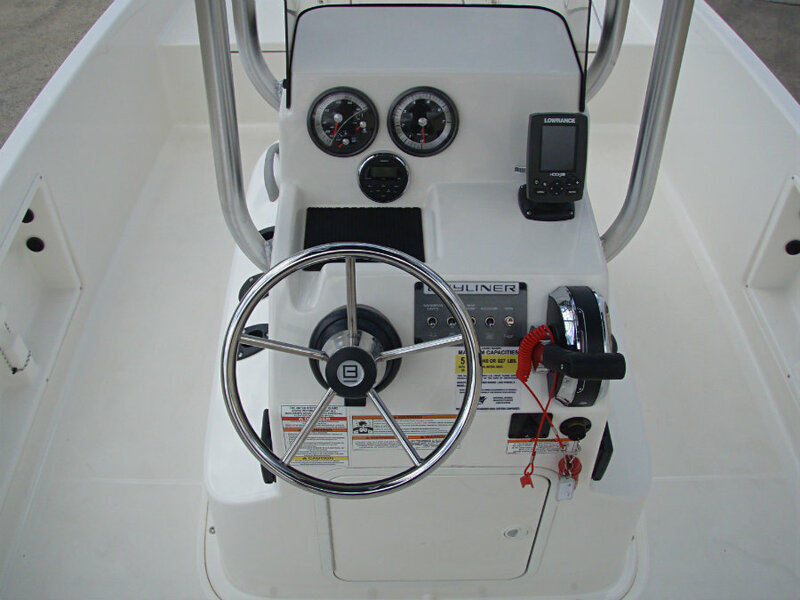 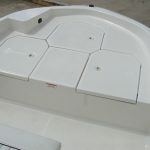 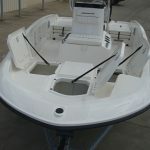 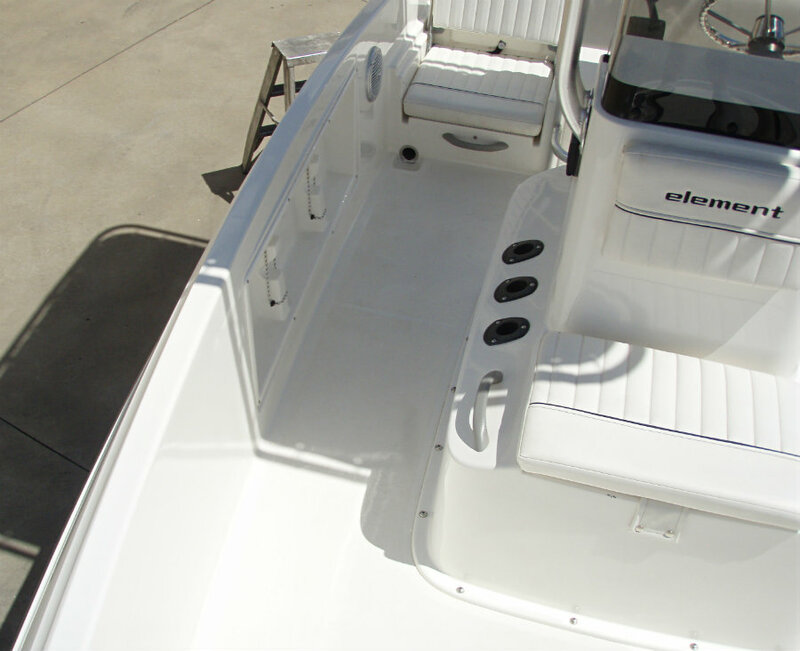 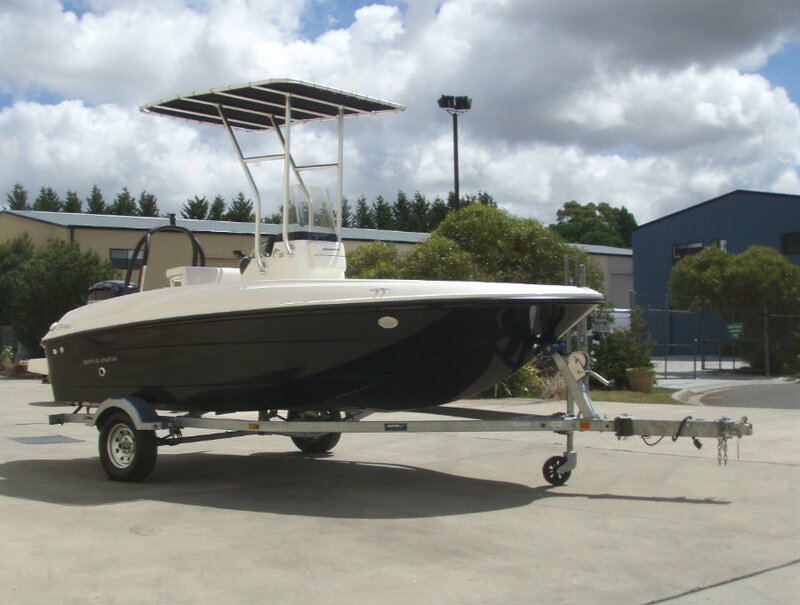 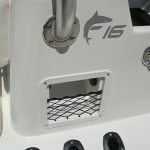 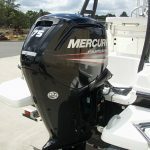 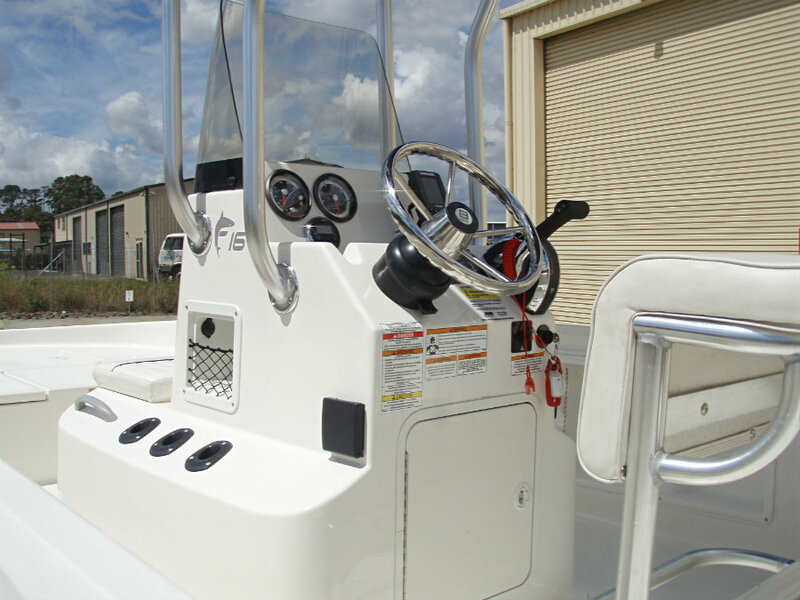 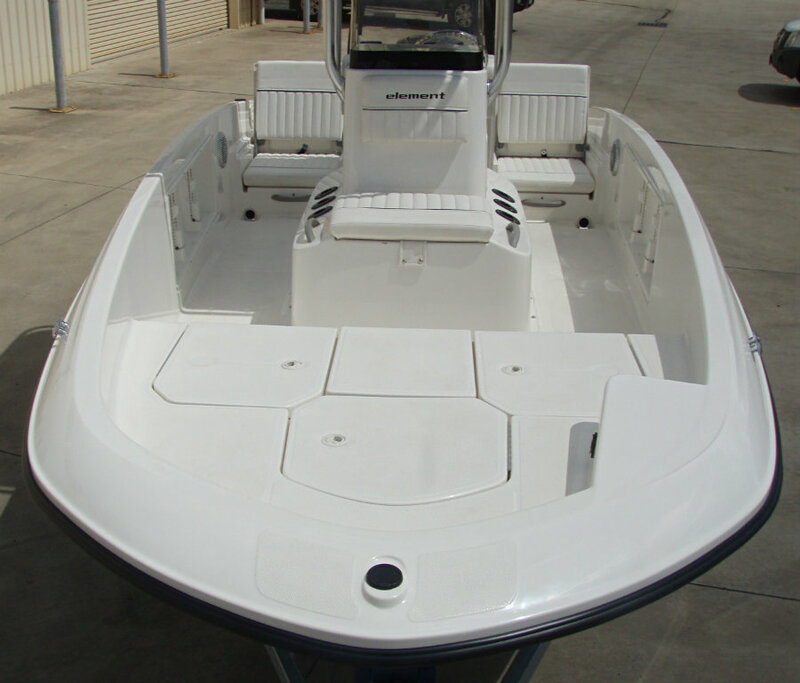 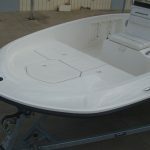 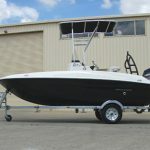 The F16 is a self-bailing, center console design aimed at coastal cruising and other day boat activities. 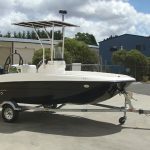 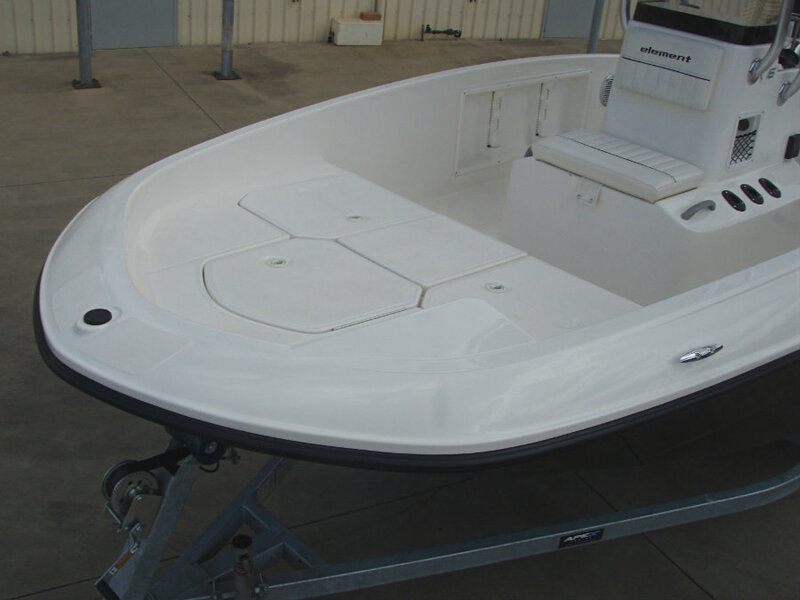 It has a clean, open layout and a roomy bow section which considerably expands the capacity of the bow area including an anchor locker, and two large bow storage lockers. 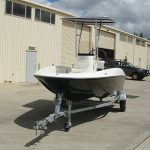 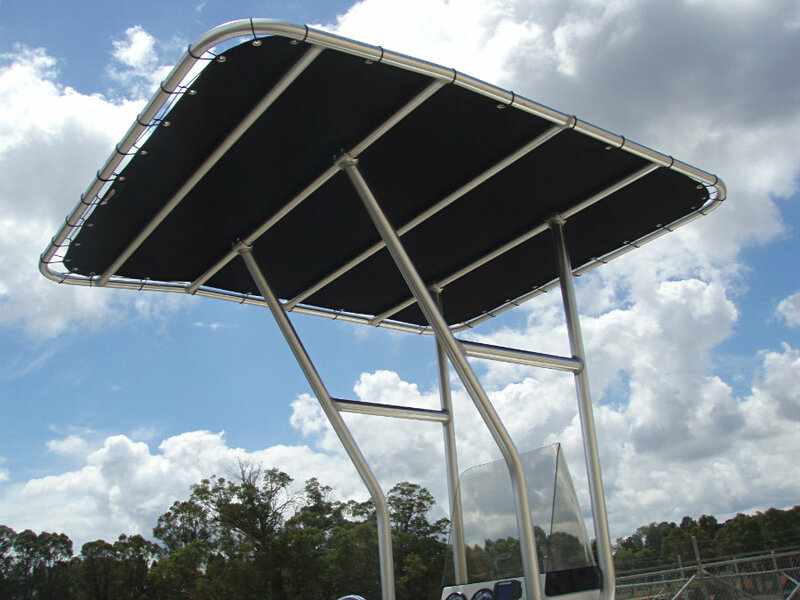 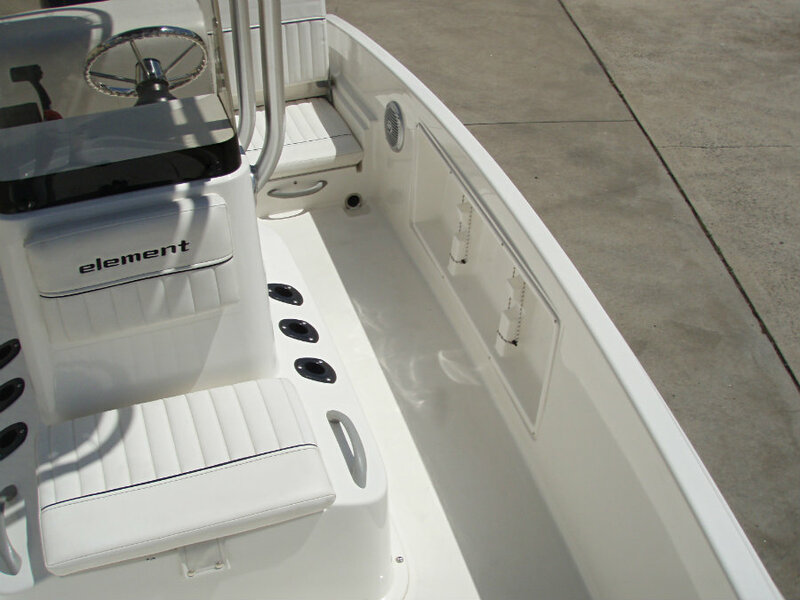 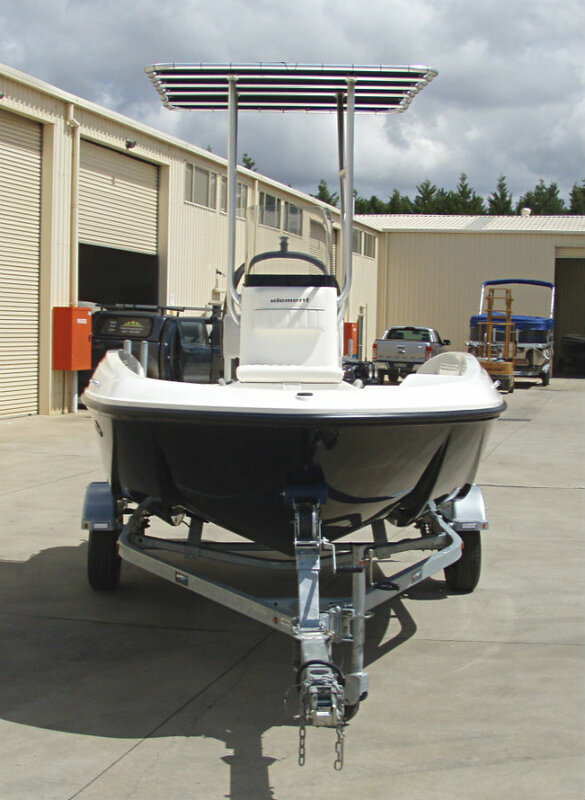 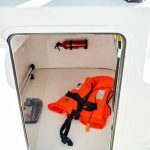 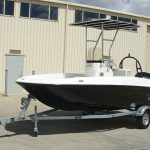 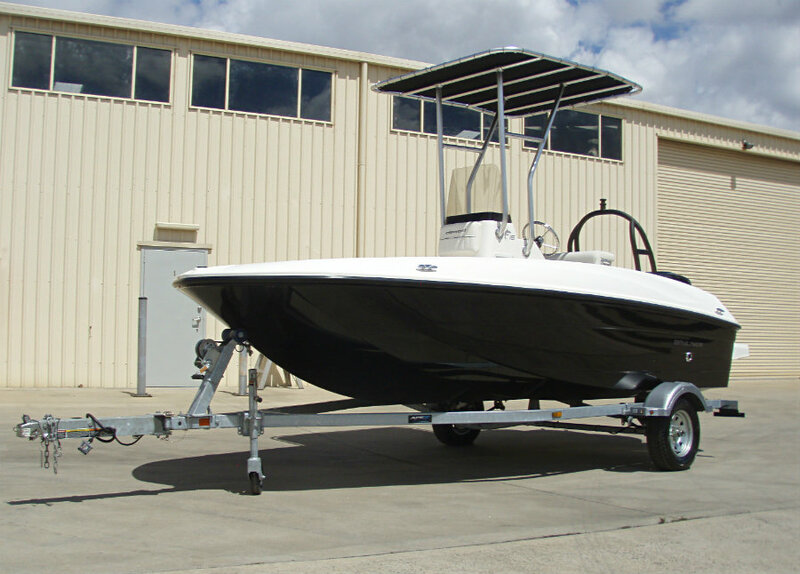 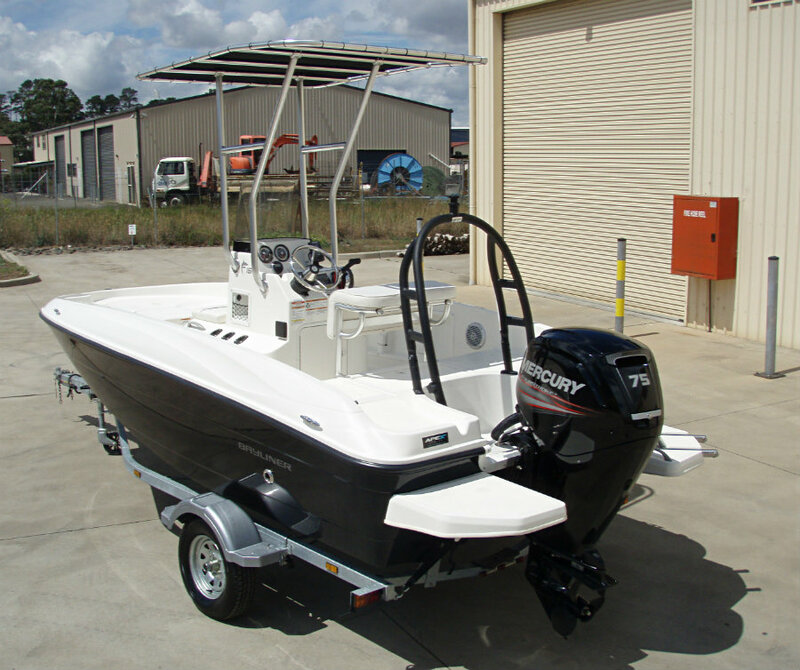 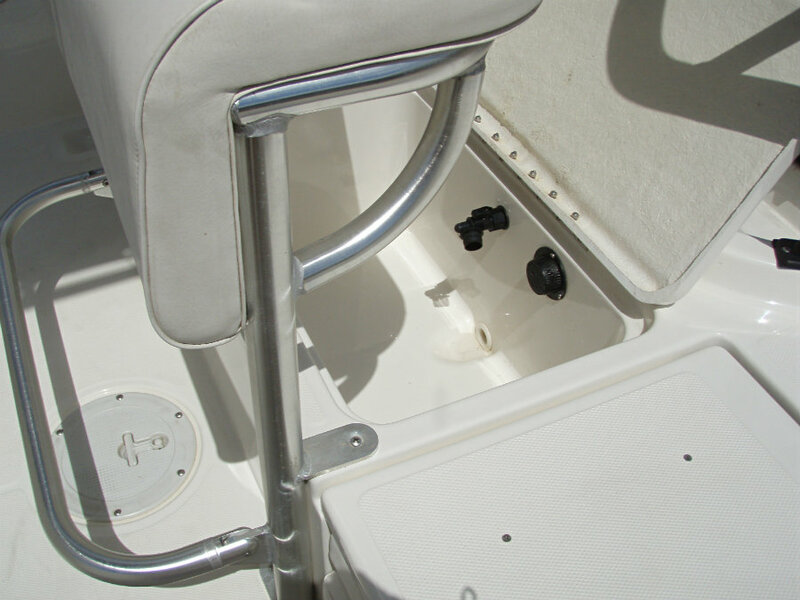 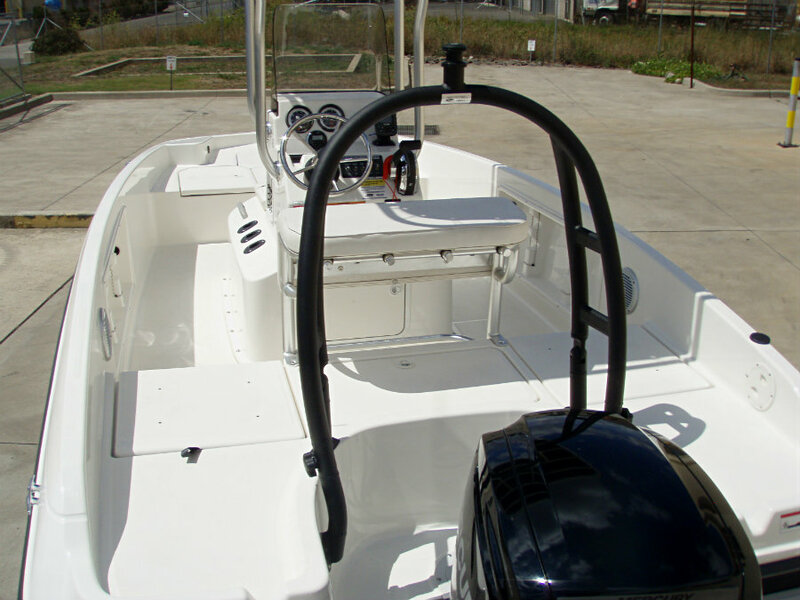 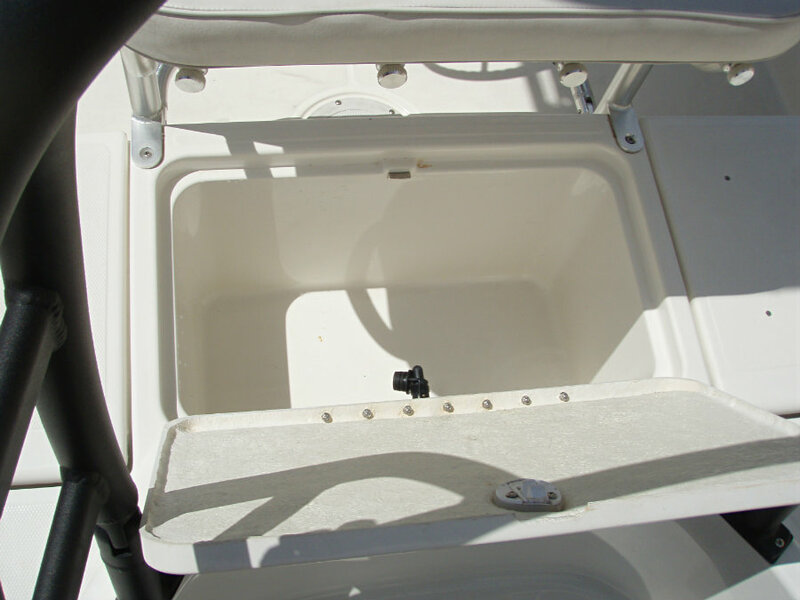 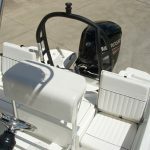 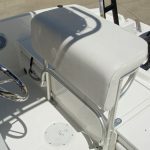 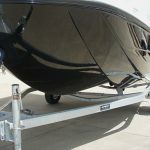 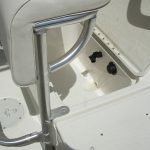 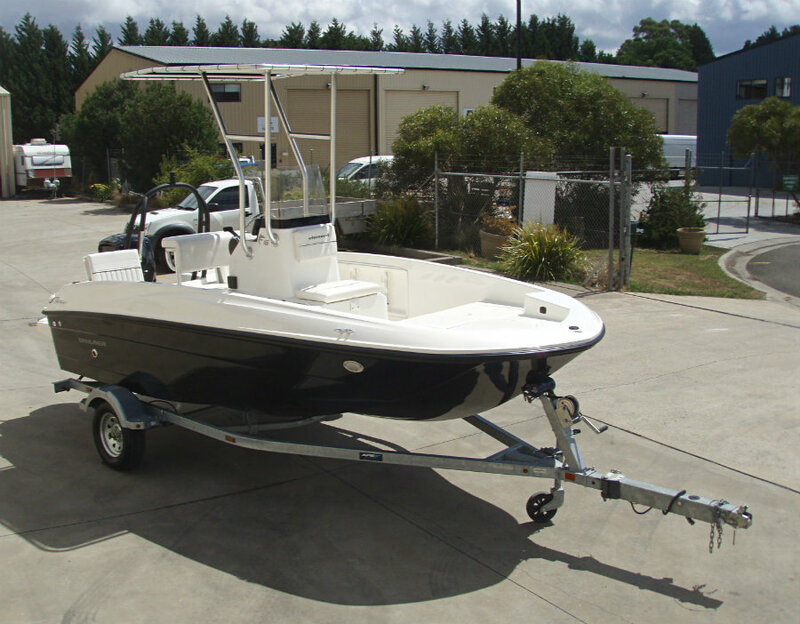 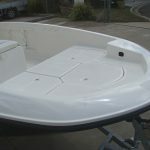 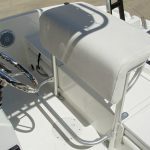 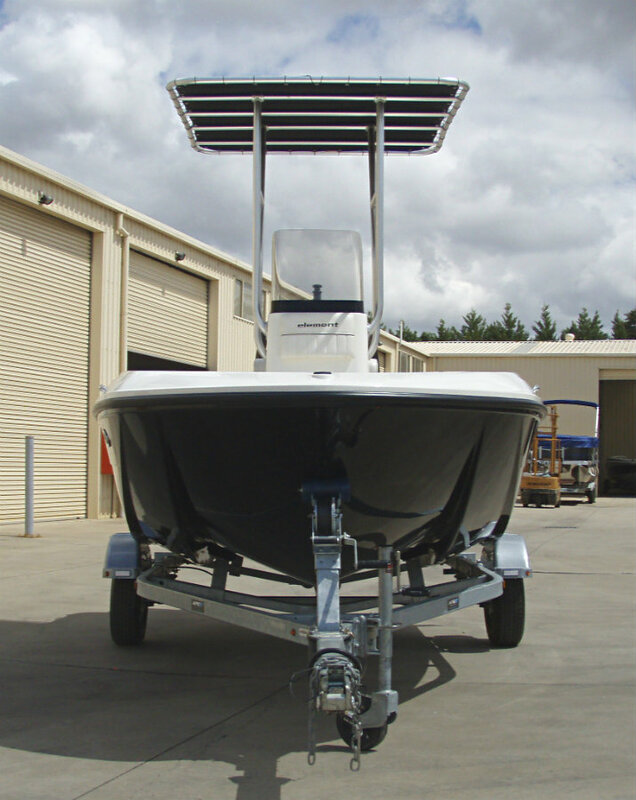 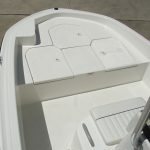 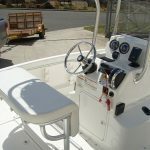 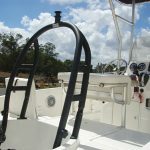 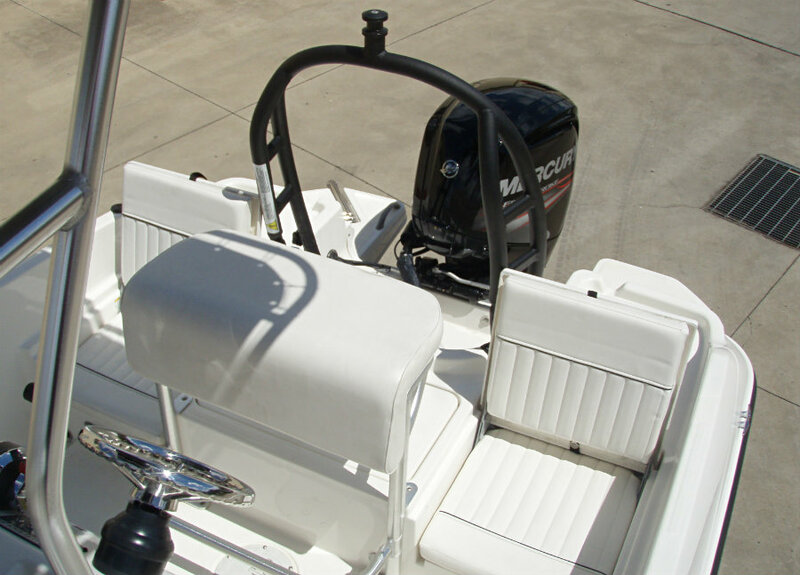 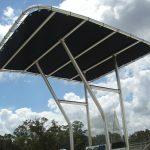 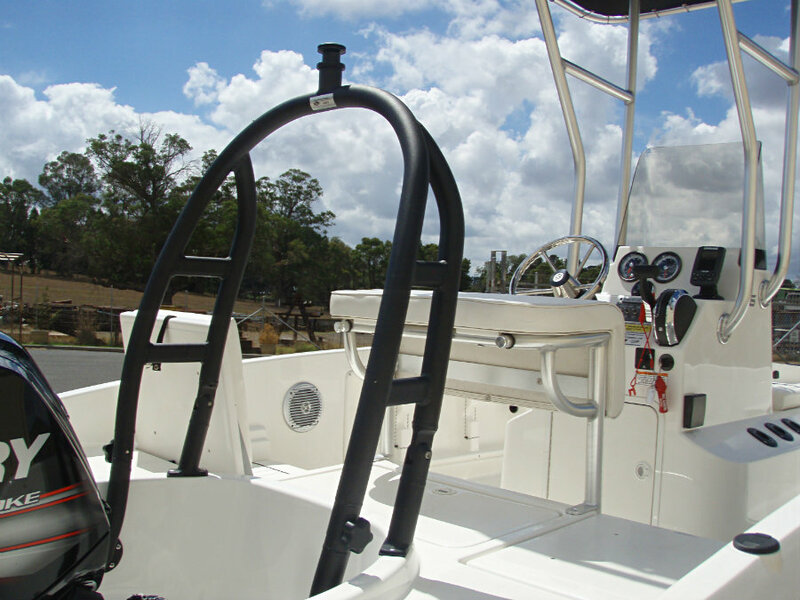 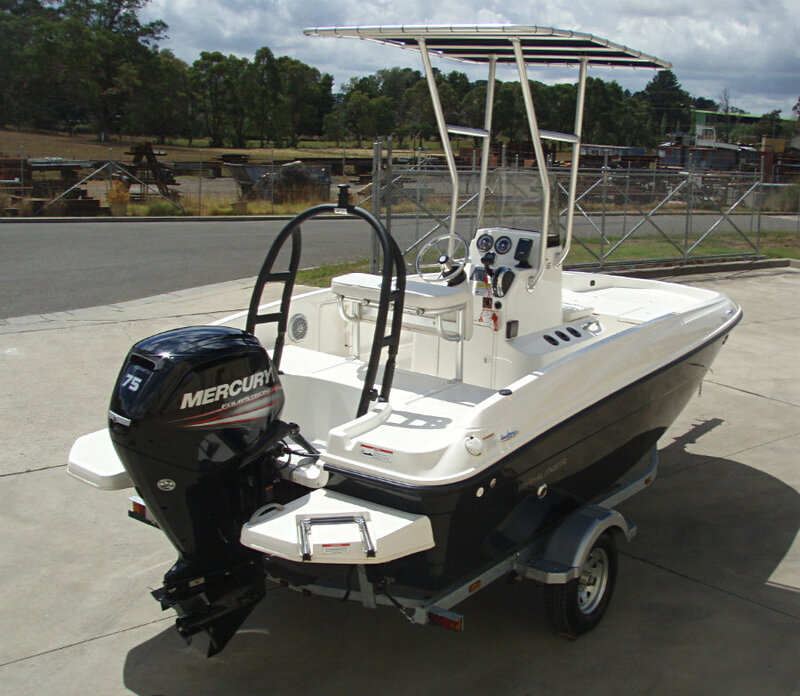 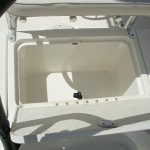 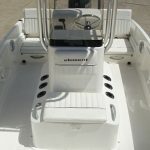 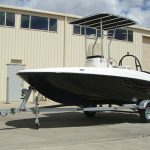 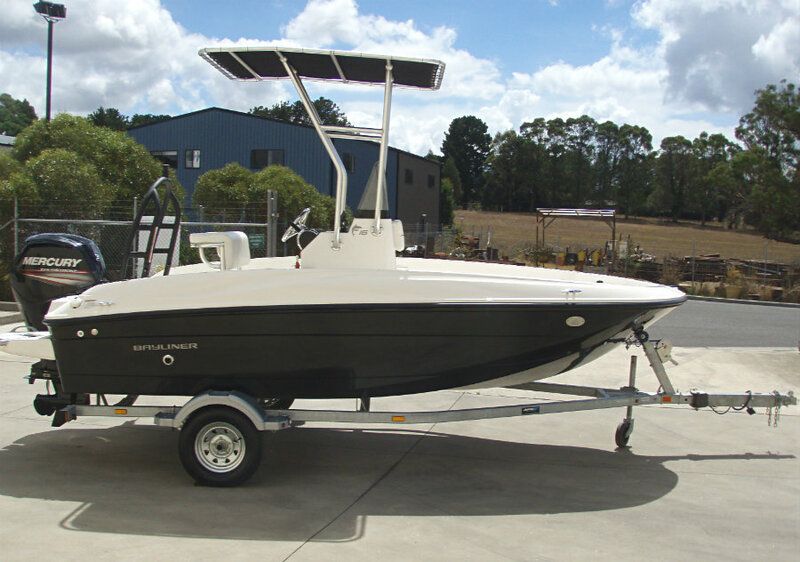 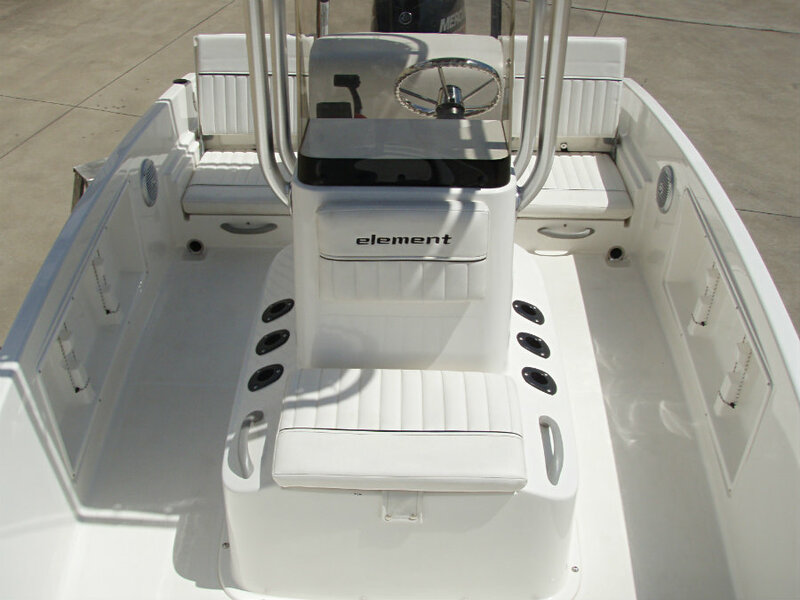 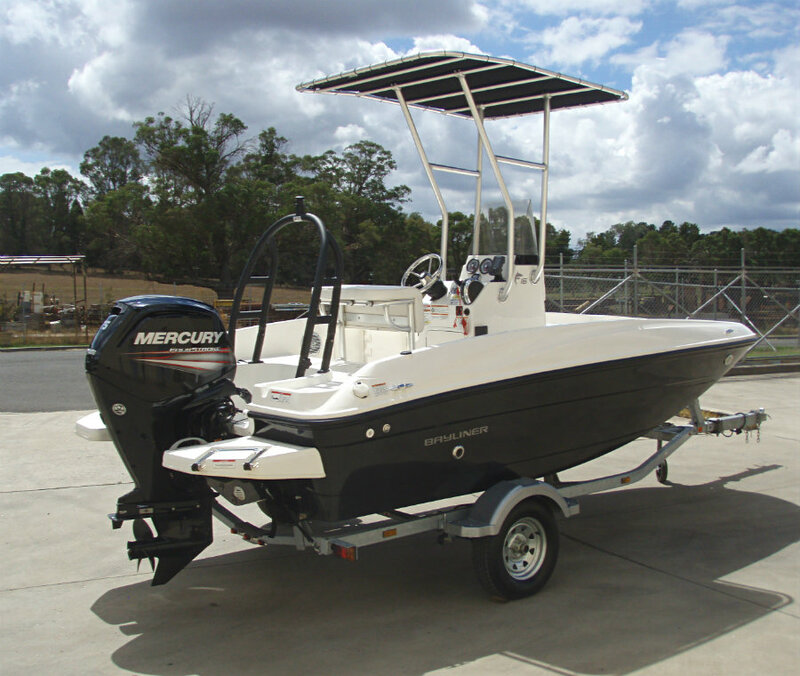 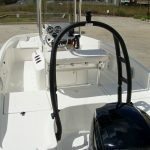 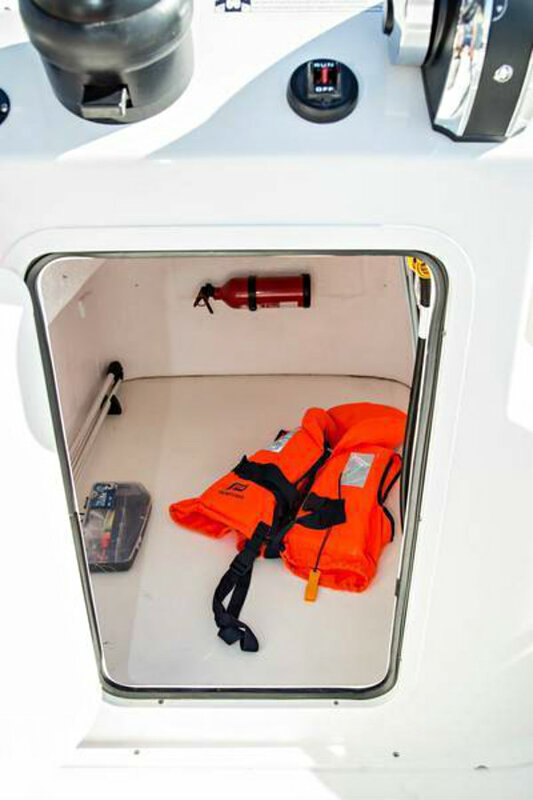 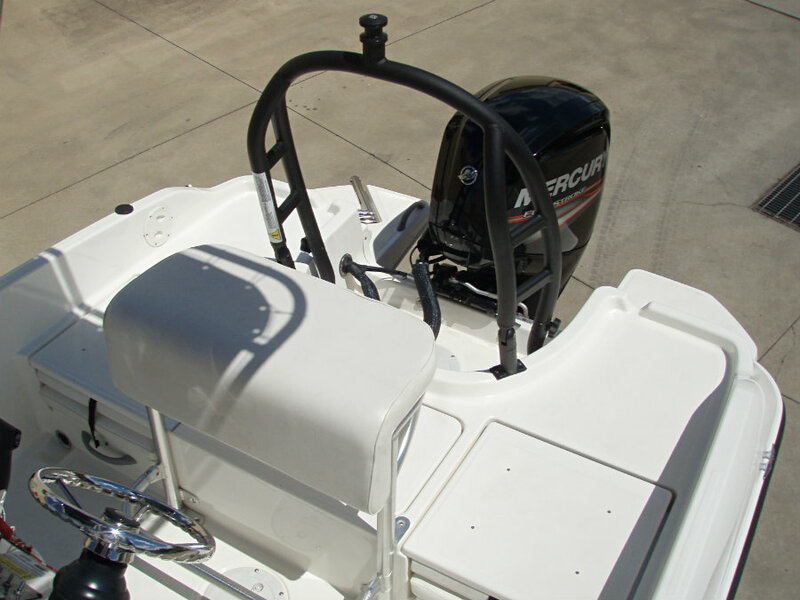 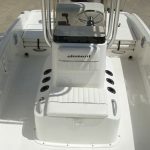 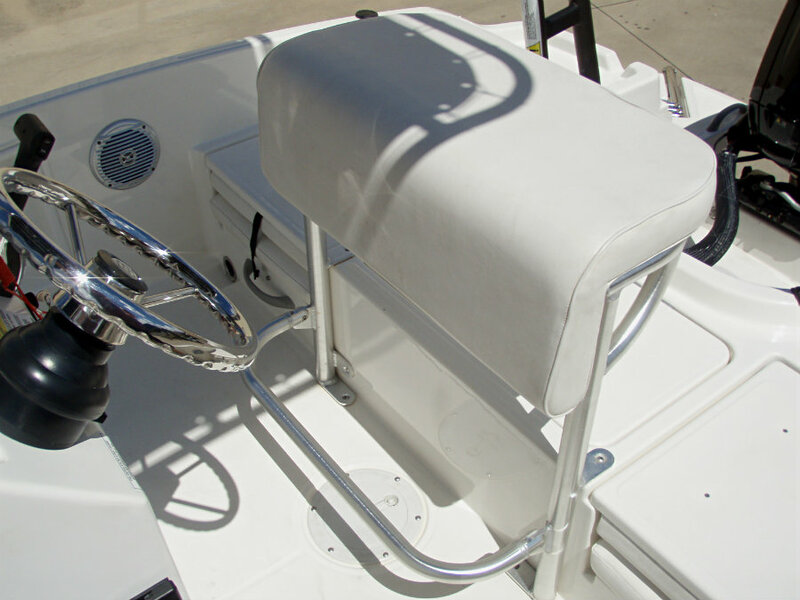 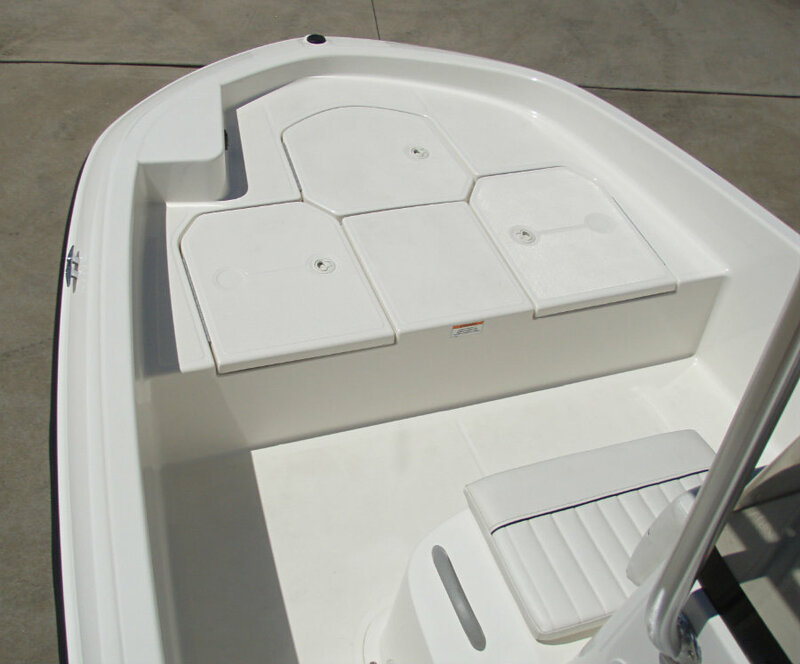 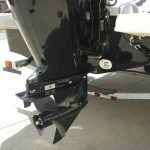 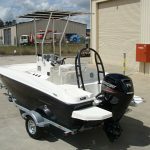 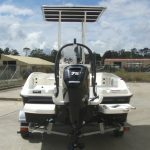 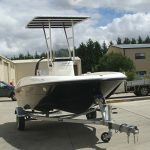 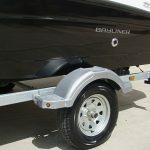 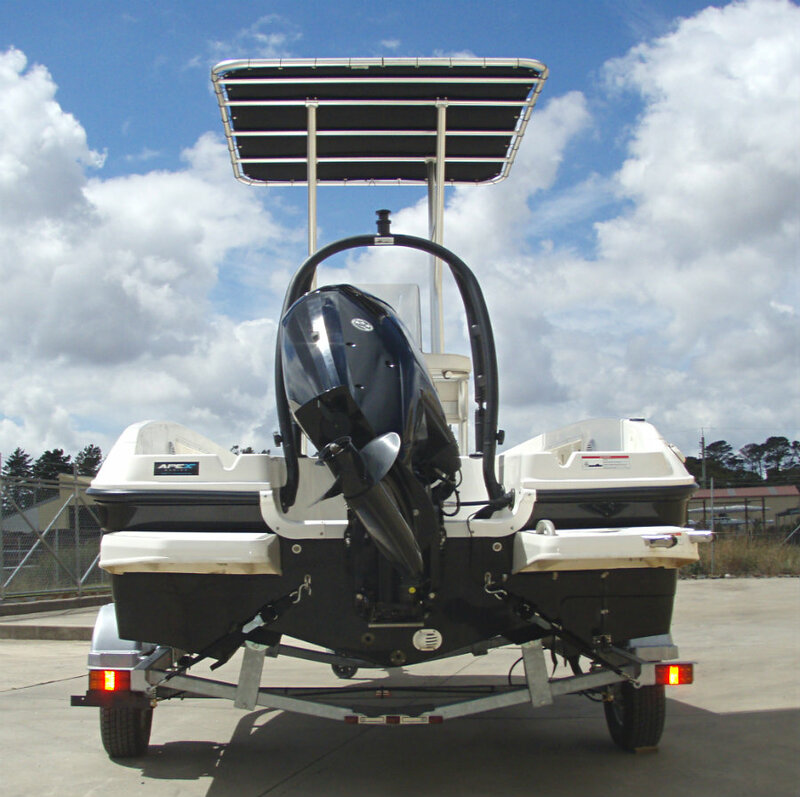 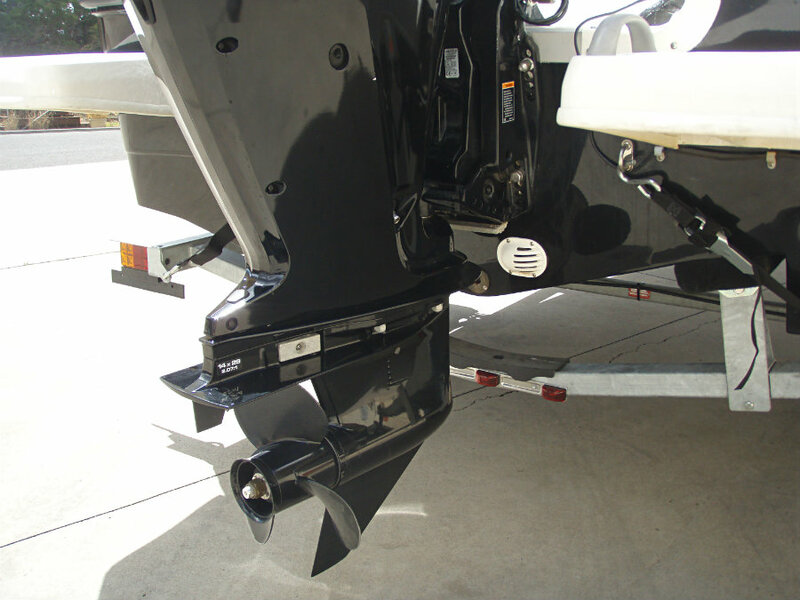 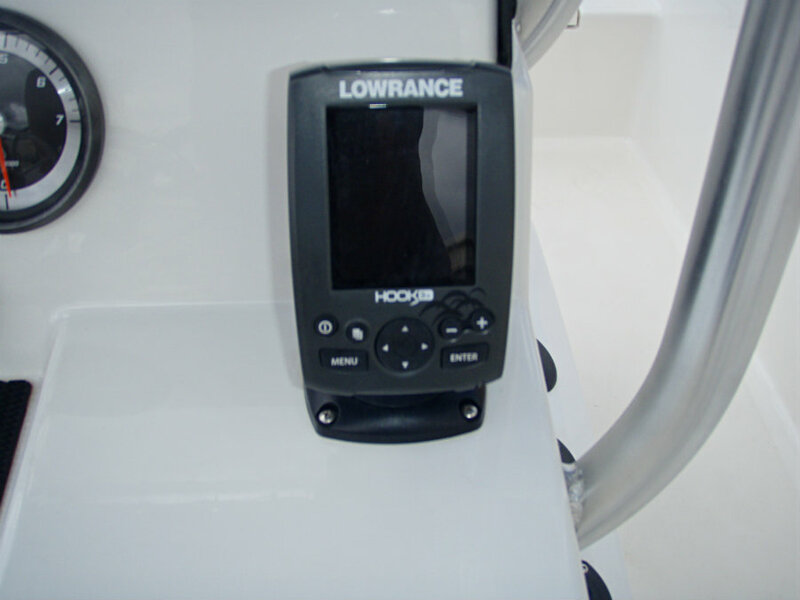 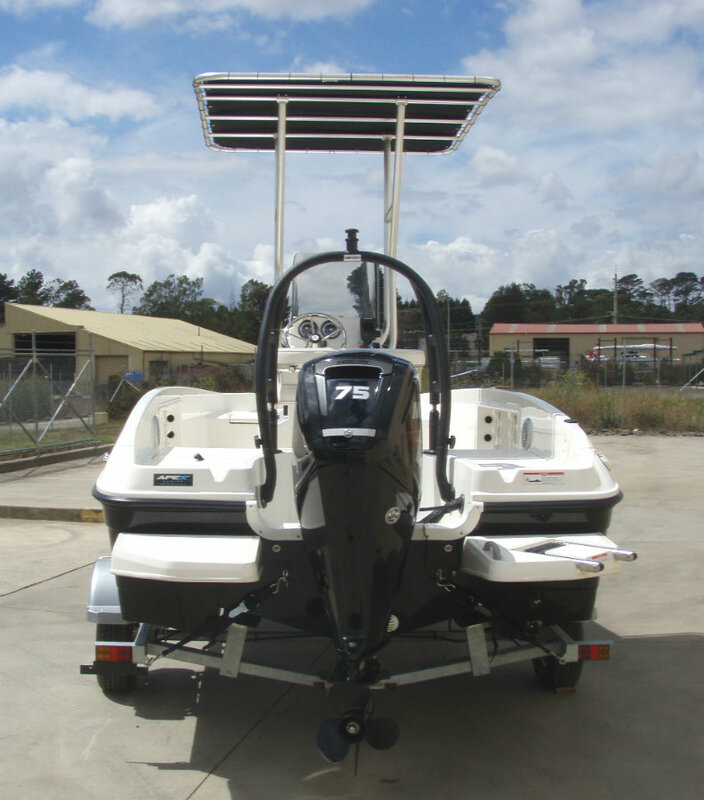 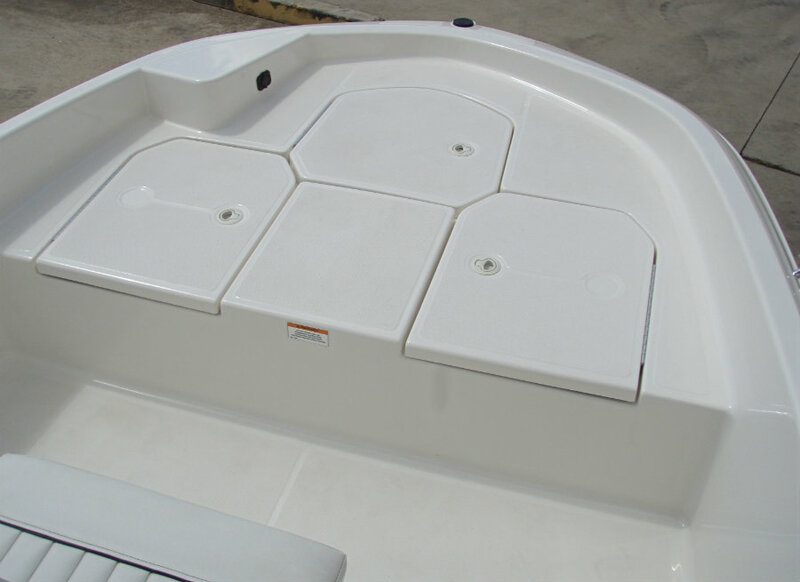 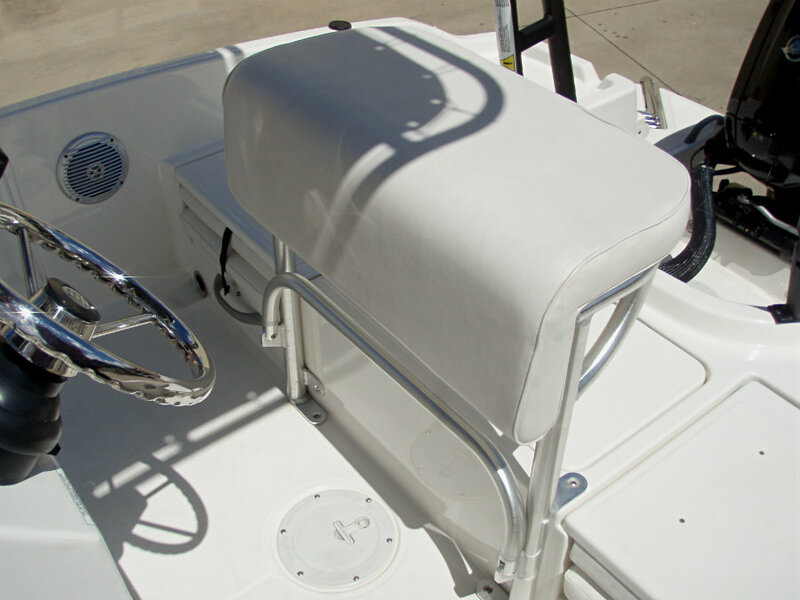 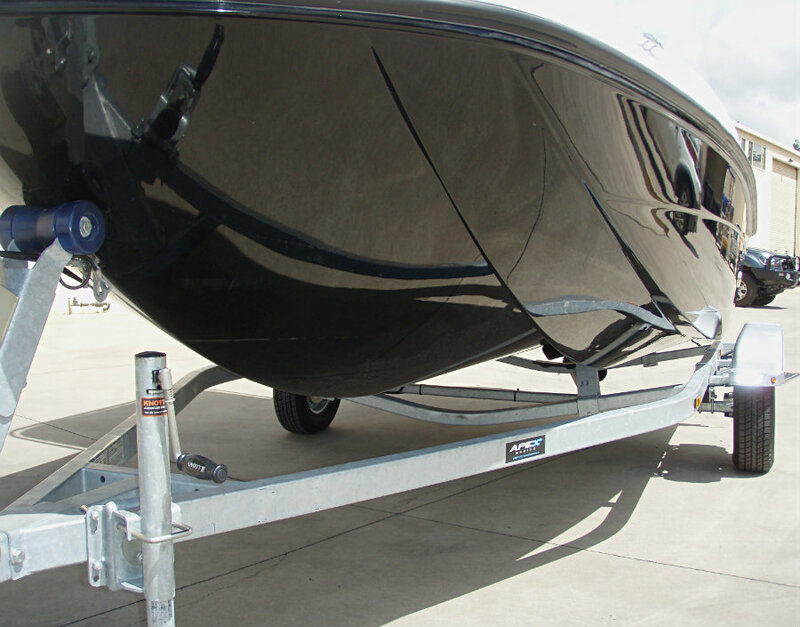 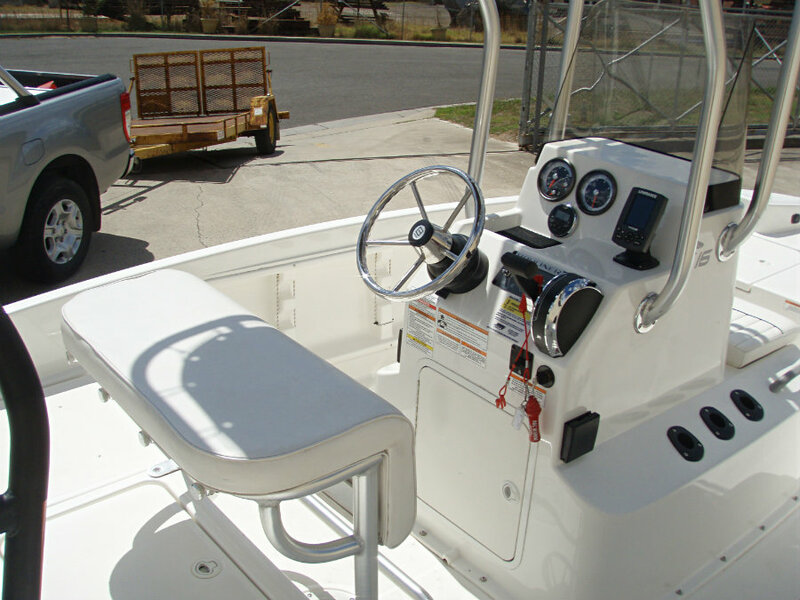 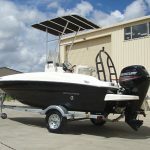 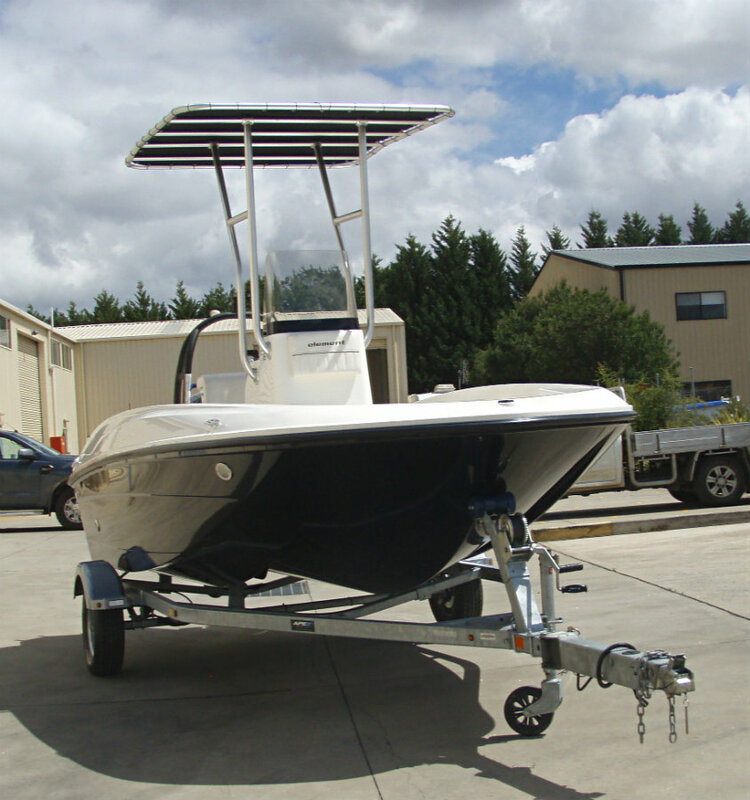 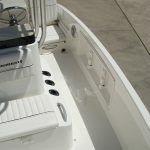 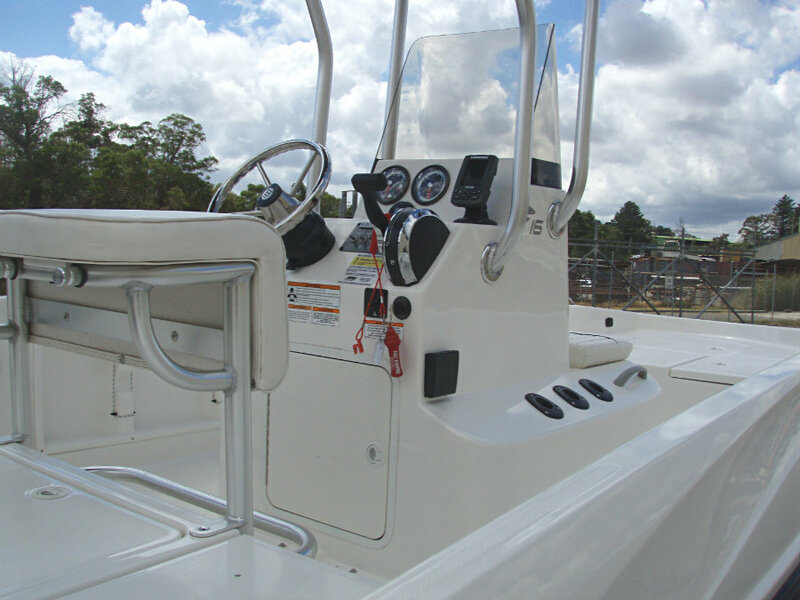 The boat’s aft section features a leaning post at the helm station, and twin jump seats flanking a roomy lined storage compartment ideal for fishing gear or other provisions. 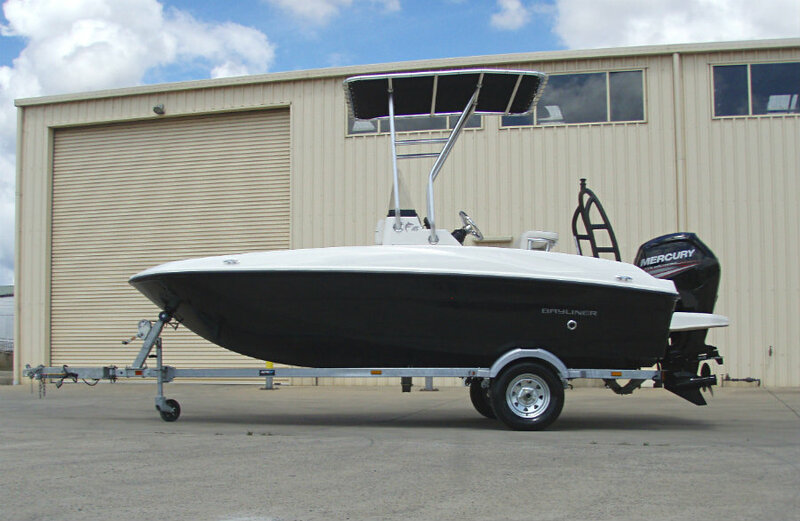 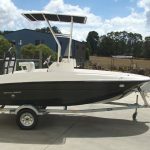 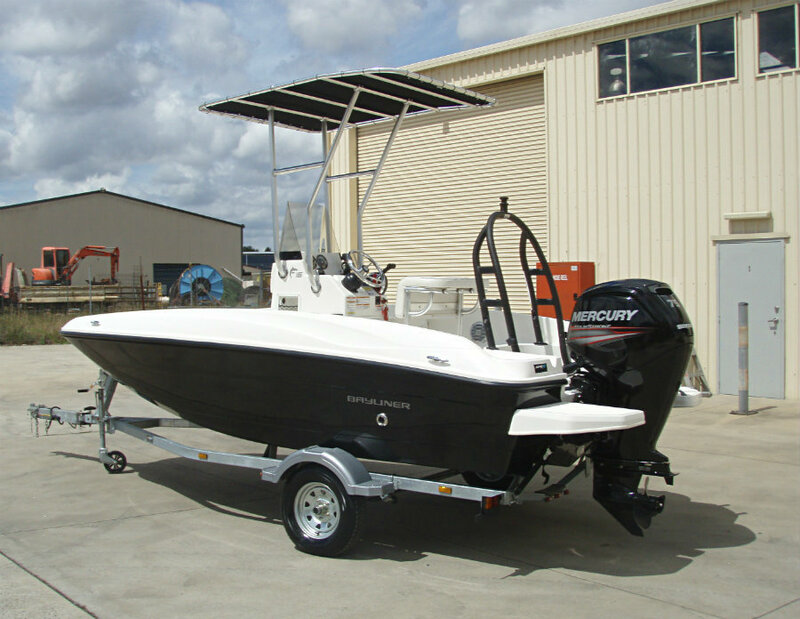 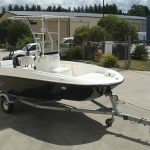 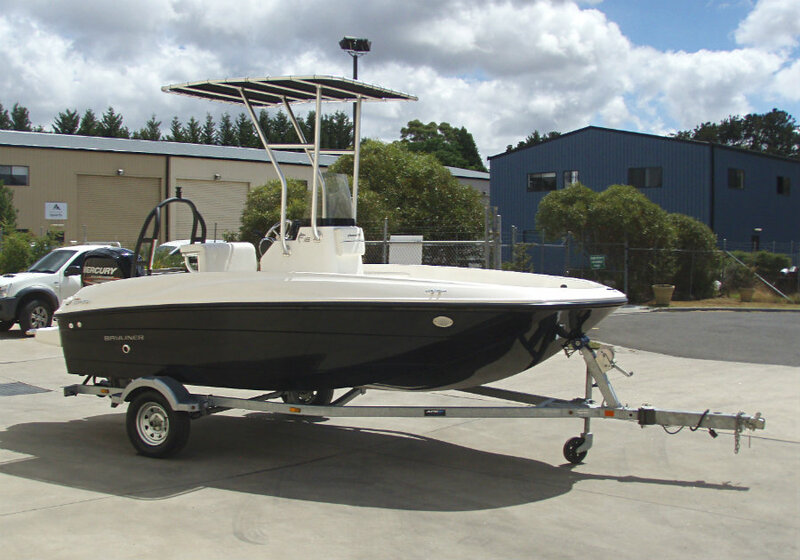 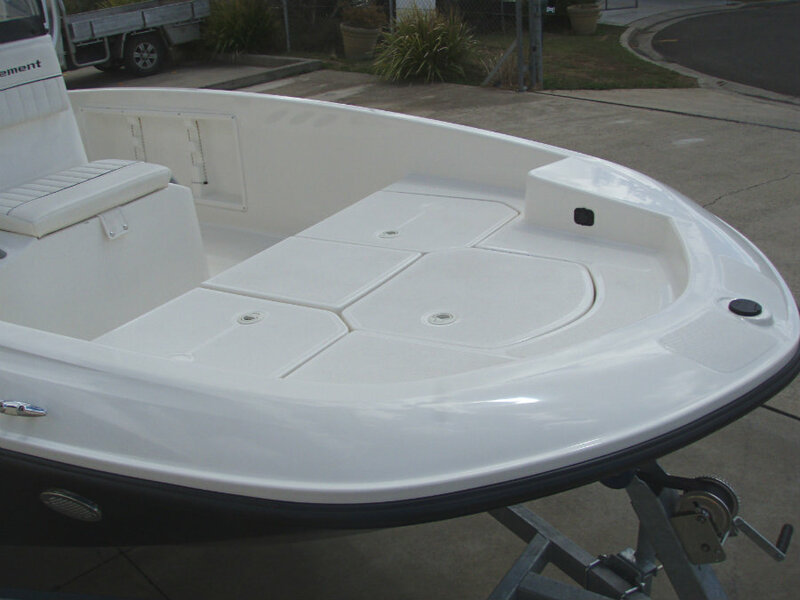 This is an AS NEW 16′ centre console which is fully loaded with a very smart solid black hull gelcoat colour, aluminium T-top, black powdercoated sports arch ski bar and port & starboard extended swim boards w/ ladder.